Whatever the size of your database is you accumulate transactions day by day. At some point historical data becomes too large to keep and maintain, from a resources point of view (disks, memory), but also from a performance point of view – for example, it takes a long time to drill down to ledgers or produce reports fast. IT departments can deploy an SQL Server feature called Data Compression, but that requires the Enterprise Edition of SQL Server, and it will only deal with the disks and RAM issue, not with the quantity and heaviness of all the data in the database. Users therefore demand functionality to archive the data somewhere, still available for inspection and audit, but not clogging the operational database. For that reason, they need a product that allows them to do just that. It’s finally here. Archive-Tools from SQL Perform. Both products allow users to select what data will be shifted to a secondary historic data database on a regular basis. There are two possibilities. 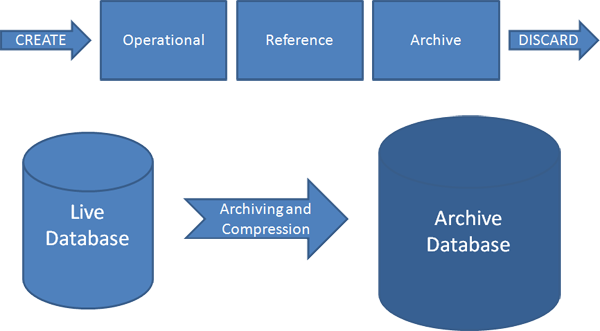 Perform-Archiving moves the selected data from primary to historic database whilst Perform-Compression not only moves the data, but while doing that, it also replaces the original detail ledger records with new summarized data. Imagine opening and closing balances' records are created whilst detailed data moved to somewhere else.